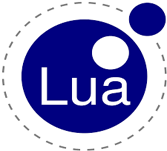 Lua is a lightweight embeddable scripting language which is built on top of C programming language. Lua is an open source language which is useful for multiple platforms ranging from large server systems to small mobile applications. This tutorial will cover the basics of Lua and its scope in various applications. This tutorial is useful for users who wish to learn Lua. As this tutorial covers the basics and scope in various applications of Lua, it is suitable for both beginners as well as advanced users. It is a self-contained tutorial; it will be easy for users to grasp the concepts easily even if they are beginners. However it will be easier if users have basic understanding of working with a simple text editor and command line. For most of the examples mentioned in this tutorial, there will be a Try it option. You can make use of this option for executing Lua programs on the spot to get expertise.